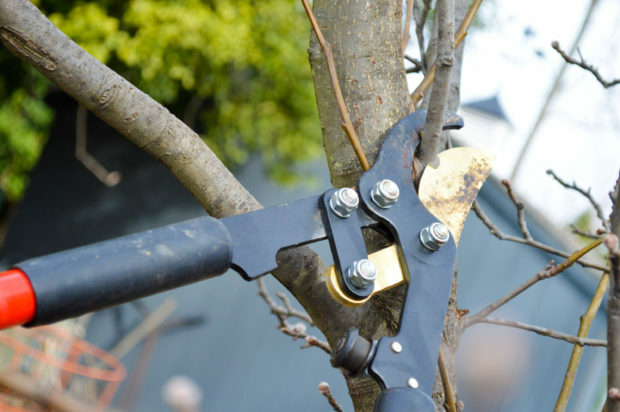 Pruning is always a question for many gardeners, when and how to prune are the most common. It really depends on what you are pruning. 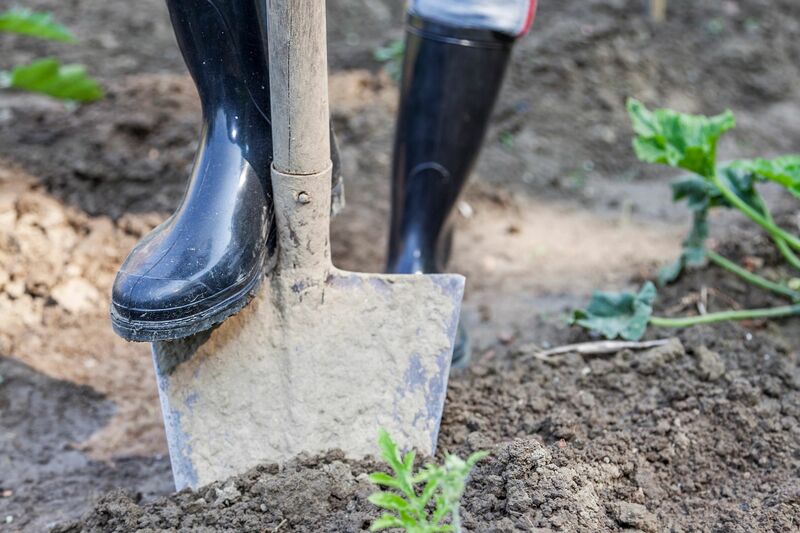 For trees and shrubs pruning is a way to help rejuvenate and stimulate new growth. But there is a right time and a wrong time to prune. 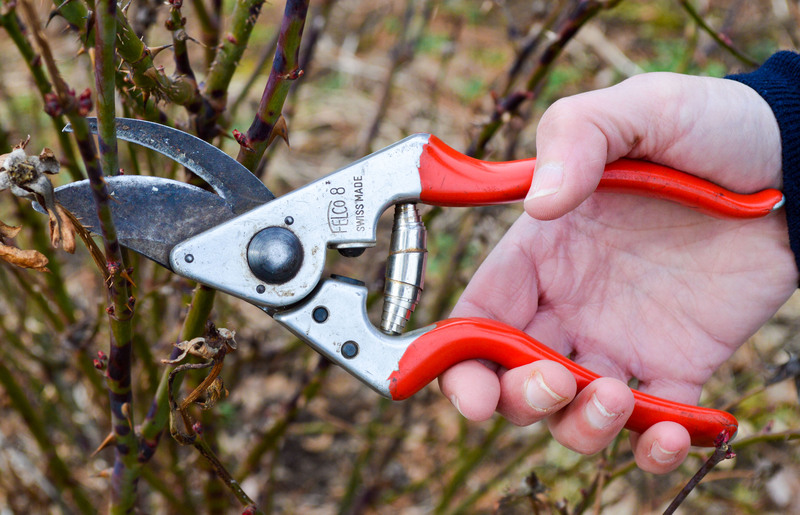 Here are a few general rules you need to know before you pick up your pruning shears this spring. For many trees and shrubs timing is key, especially when pruning spring flowering shrubs. Plants like Azalea, Forsythia, and lilac bloom on the previous years growth. Flower buds are produced the previous growing season and overwinter on the plant. Pruning these shrubs in the fall or winter will prohibit flowering in the spring. Many of these shrubs benefit from light pruning to keep the natural shape of the plant. You want to avoid over pruning or shearing too closely. This practice alters the natural growth structure of the plant resulting in unhealthy looking plants that will flower very little. Trees and shrubs flowering in the summer should be pruned in late winter or early spring. These plants flower on the the same years growth and are fast growing, like Buddleia and Caryopteris. Roses, Hybrid tea and floribunda should also be pruned in early spring, just before plant breaks dormancy. Shrub and Knockout roses can benefit from this as well. Fruit trees, evergreens, Viburnum, Crepe Myrtle and Rose of Sharon can also be pruned in the early spring. Pruning hydrangeas on the other hand can be tricky. Hydrangea paniculata and arborescens, flower on the new seasons growth. Pruning in the late winter or early spring is ideal. Hydrangea macrophylla flower from the previous years growth. Many of the new breeds and varieties of hydrangeas bloom from old and new wood, like the endless summer series. It is best to cut back in the late summer. 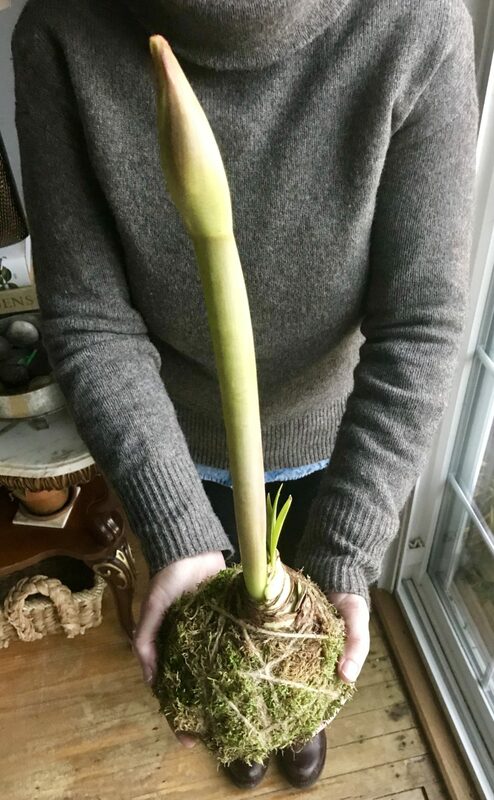 If your plant has become too large or if you are cutting blooms for floral arrangements be careful not to over prune, this can result in fewer blooms the following year. 1. Use sharp shears that are cleaned and sanitized to avoid spreading any disease. 2. Remove diseased wood immediately. 3. Make cuts at an angle and close to the collar of the tree. This will keep insects out that can carry disease and harm the tree. 4. Remove crossing branches. Always cut off the smaller branch. 5. Remove thin and spindly looking branches. This helps to thin out the tree or shrub, opening it up for more light and wind to pass through. 6. Remove suckers growing from the trunk of tree. 7. Cut shoots growing straight up towards the center of the tree from thebark or on branches. 8. Avoid pruning in fall. Plants are still growing in the fall. Pruning stimulates growth in plants who are otherwise winding down their growing season and preparing for dormancy. Freezing temps can injure plants pushing new growth. 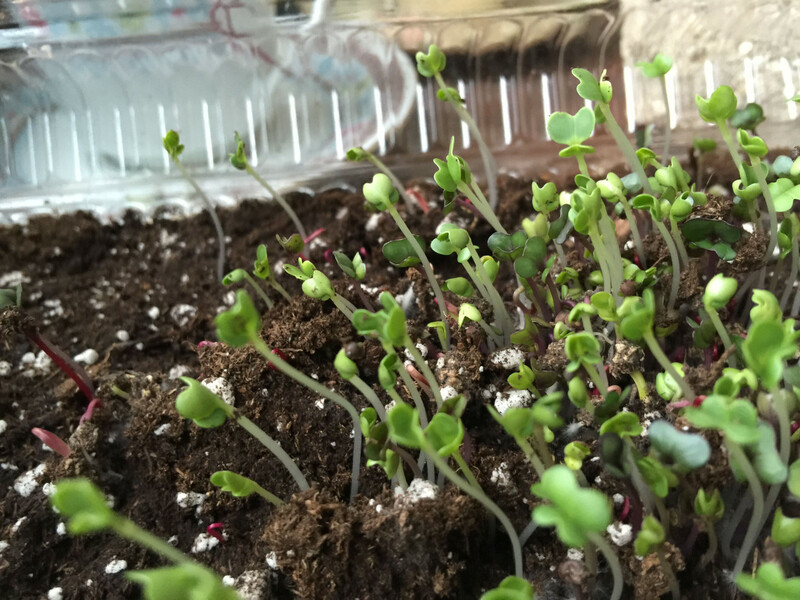 Growing sprouts is a fun and easy indoor gardening project to do with the whole family. You can grow a variety of sprouts from certain bean, vegetable and salad seeds. Growing them yourself is a time and money saver as well as a great way to add healthy vegetables to your daily meals. Sprouts have the highest concentration of vitamins compared to fully grown greens and beans. You can use a variety of seeds that include lentils, alfalfa, watercress, and assorted vegetable and salad greens. There are many seed packets already formulated with a nice assortment. If you buy prepackaged seeds make sure they are tested negative for E.coli, Salmonella, and Listeria, as well as other foodborne pathogens. I am growing a mix of alfalfa, Daikon radish sprouts and red clover, all certified organic and GMO free. Sprouts germinate quickly and can be easily grown indoors all year long. 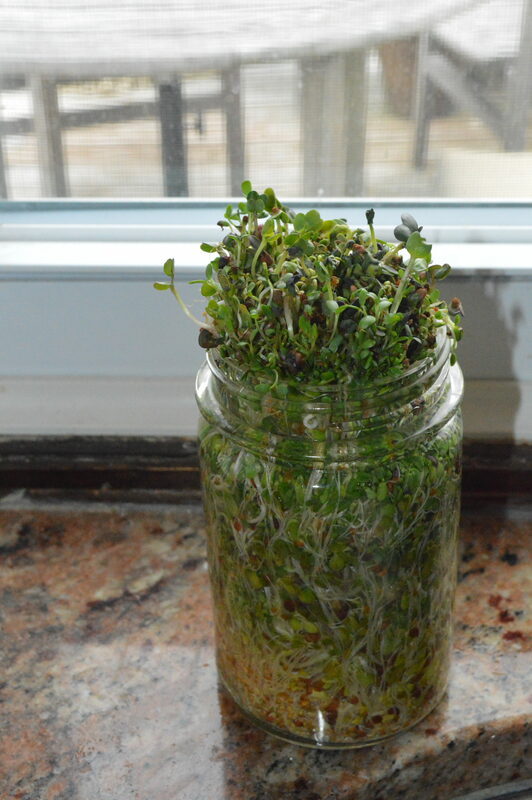 Sprouts are be grown in a variety of containers, I like to up cycle my clear plastic salad containers, or a mason jar. You can purchase a seed sprouter, some sprouters have enough room to grow up to five varieties at the same time. They have proper drainage and air holes for optimal air circulation. Cactus and Succulents can add color and texture to your indoor garden, requiring little attention and care. This unique plant group store water in the body, leaves and stems. Cacti store water in the main body of the plant and succulents store water in their stems and leaves. Generally found growing in warm arid regions of the world succulents have the ability to survive on very little water. Therefore it is not surprising that they have gained popularity as care free and low maintenance house plants. Mainly grown for ornamental purposes many cultivars are uniquely shaped in various colors and textures. Even though they are super easy to grow the most common question I get from clients is, how do I keep them looking as good as the day I bring them home from the garden center? It is not a difficult task if you follow a few simple tips. Look for plants with a healthy root structure, vibrant green foliage and full shape. Avoid plants with soft yellowing leaves, these are signs of poor watering habits. Stickiness or a powdery residue are signs of insect damage. Transplant succulents using the right type of soil. Cacti and succulents are not aggressive growers. In fact they are slow growers. The root system is usually not as thick and fibrous like most plants. 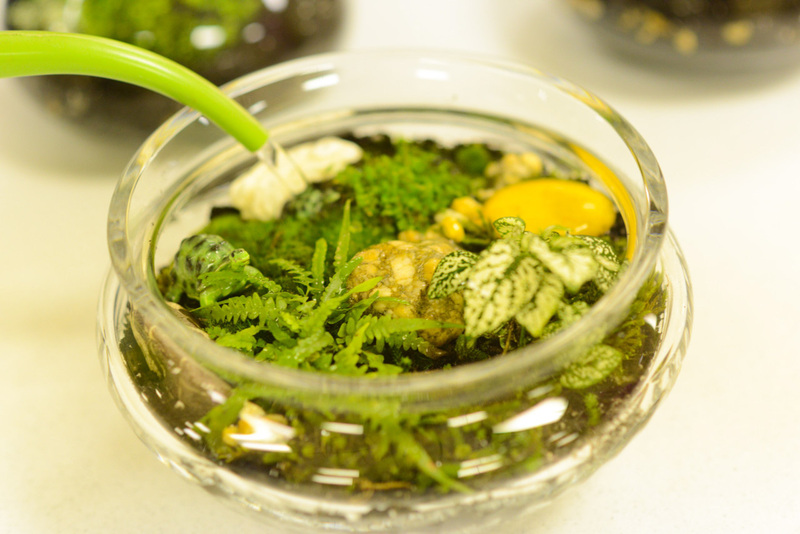 Transplant using well-drained soil containing a balance of sand, perlite and sphagnum peat moss, providing water and fertilizer retention. I recommend using a soilless mix cacti, succulent mix that is specially formulated to keep plants well drained. Succulents can be planted in any type of container that allows for proper drainage. Make sure containers have a drainage hole for water to flow through. Water plants when they are thoroughly dry. I always soak plants thoroughly and allow water to flow through, then wait a week and check again. If soil is still moist wait another week. I generally wait two or even three weeks between waterings. Some signs to look for if you are not watering properly are, drying and dehydrated looking leaves aren’t getting enough water and soggy leaves are holding too much water. Get into a regular watering schedule to help plants thrive. Let your plants live in light. Succulents love bright, filtered light so find a bright sunny window where they’ll receive four to six hours of sun. Fertilize with a water soluble succulent food as needed. Remove dead or decaying leaves to keep plants looking clean. This is a good routine to acquire. It allows you to keep an eye out for insects or any potential plants problems. These easy to follow tips will keep your succulents happy and healthy indoors all year. Keeping your poinsettia alive until next Christmas is not as challenging as you may think. 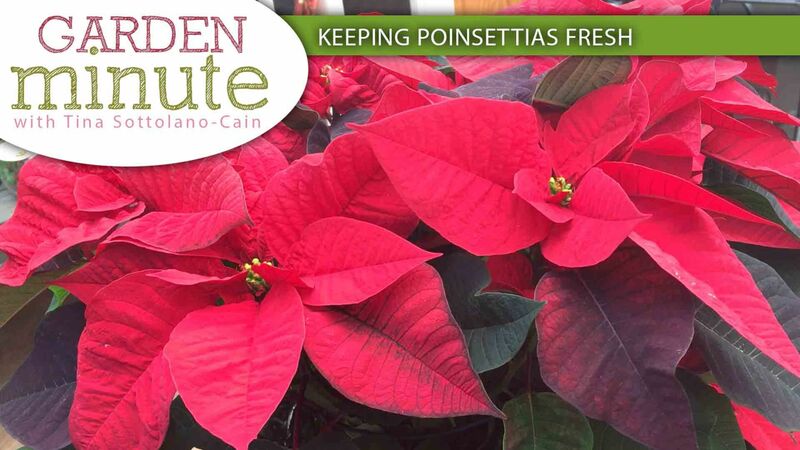 With a little knowledge of the history of the plant and a few easy growing tips you will have an easy time getting your poinsettia to bloom again. The poinsettia, Euphorbia pulcherrima is a tropical plant that is native to the southern region Mexico and was brought to the United States by the ambassador to Mexico Joel Roberts Poinsett in 1825. The beautiful red color of its leaves known as bracts make this plant very unique. When grown in their native environment they traditionally grow in part sun and shade, and can grow up to 13 feet tall. To keep your poinsettias looking good throughout the winter months give them a sunny, south-facing windowsill where it is bright, be sure the light is filtered and free of any drafts. You also want to keep the plant away from any heat vents as well. I find that keeping the temperature between 68-70 degrees is ideal. Watering poinsettias can be challenging for many. 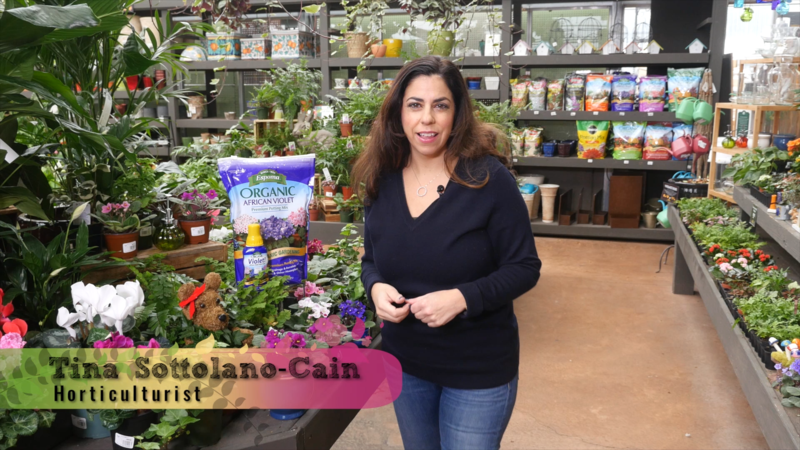 Striking the right balance of moisture and humidity can make all the difference in keeping your plant looking happy and healthy. I recommend checking water regularly. Remove the foil cover from the pot, if you already haven’t. This will allow the plant to drain properly. Too often I have seen a poinsettia take a turn for the worse only to find out later that it has been sitting in a pool of water at the bottom of the foil cover. This will also allow for proper air flow around the base of the plant. Some of the warning signs are the lower leaves turning yellow and curling followed by dropping off. Allow plants to dry out between watering cycles. Never leave excess water in saucers and cache pots. Continue with this practice until spring. Stop watering and allow the plant to dry out, leaving the stems to shrivel and leaves to drop. Place plant in a cool location where temperature ranges from 50-60 degrees. 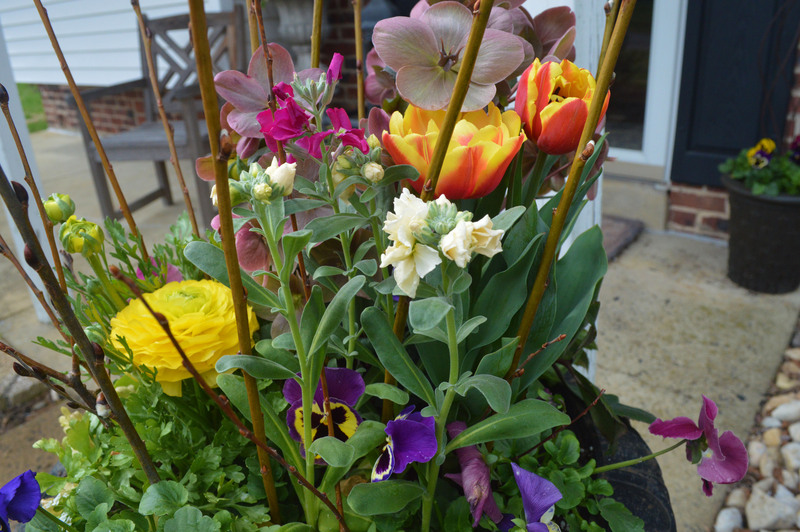 At the end of spring cut back stems to a couple of inches above the soil line and repot using fresh potting soil. Begin watering again and place plant outside for the summer months in a shaded location. 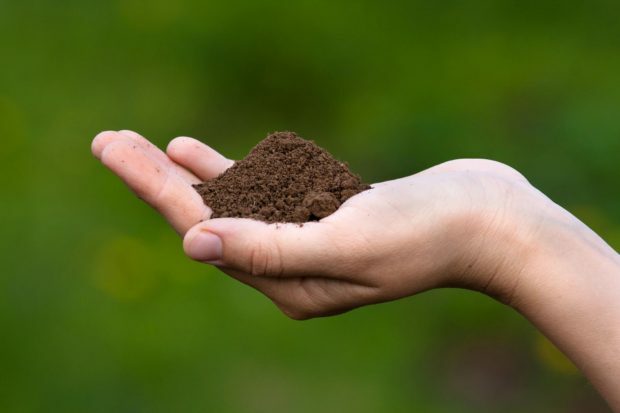 Begin fertilizing using a 10-10-10 ratio weekly at the first sign of new growth. Mid-summer begin pinching off the tips from the top of the plant. This is the new growth you are taking off to promote side branching. You want to do this two times during the growing season before you bring the plant indoors in the fall. Place in a sunny location and continue to water and fertilize regularly. In autumn move the plant to complete darkness between the hours of 5 pm and 8 am. This triggers the plant to change its growth pattern. Its bracts will change color from dark green to red and flower. Once the plants bracts have completely colored, typically in November, return to a sunny location and enjoy for another holiday season. Researchers find activities like gardening can improve mental health and contribute to a healthy weight. The increased physical activity reduces stress, and increases happiness. 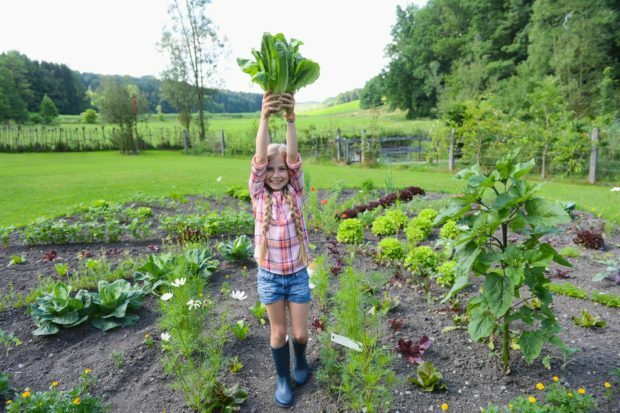 You also build better eating habits when grow your own vegetables. With benefits like this why are we not seeing more adults and children interested in gardening? For starters it begins with the young. 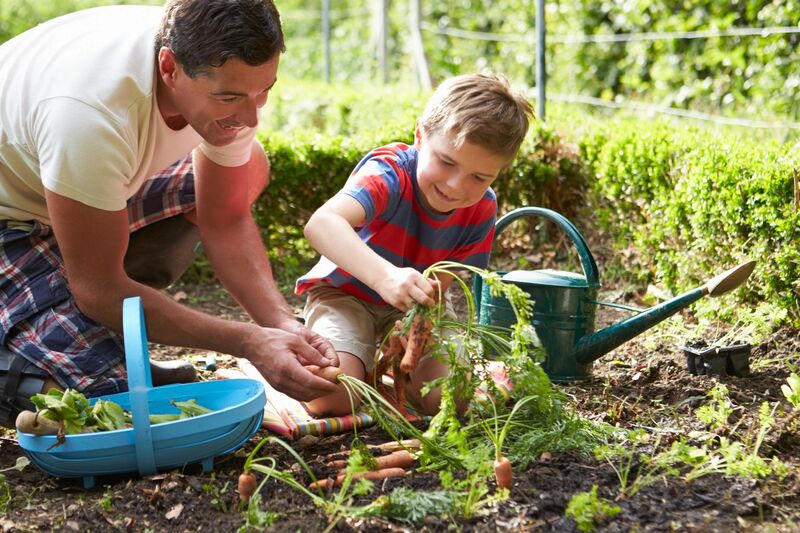 Cultivating children’s interest in gardening at a very young age shows that as adults they continue to garden. Children’s gardens should be a place of fun and inhibition so they can be free to explore and learn as they grow. Designing and Planting…Designing gardens for kids should be filled with fun plants that are easy to grow from seed. Therefore you want to get them involved in the design process, after all it is their space. Use plants like Sunflowers, Chinese lanterns, and Celosia, just to name a few. Bright colors and textures are big attractions that draw in the most curious gardeners of all ages. Be sure to include native shrubs and perennials. They attract local birds and wildlife to the garden. It is important to show children how important natives are and the role they play in our ecosystem. Stimulate their sense of smell…Fragrance is so important to spark their interest. 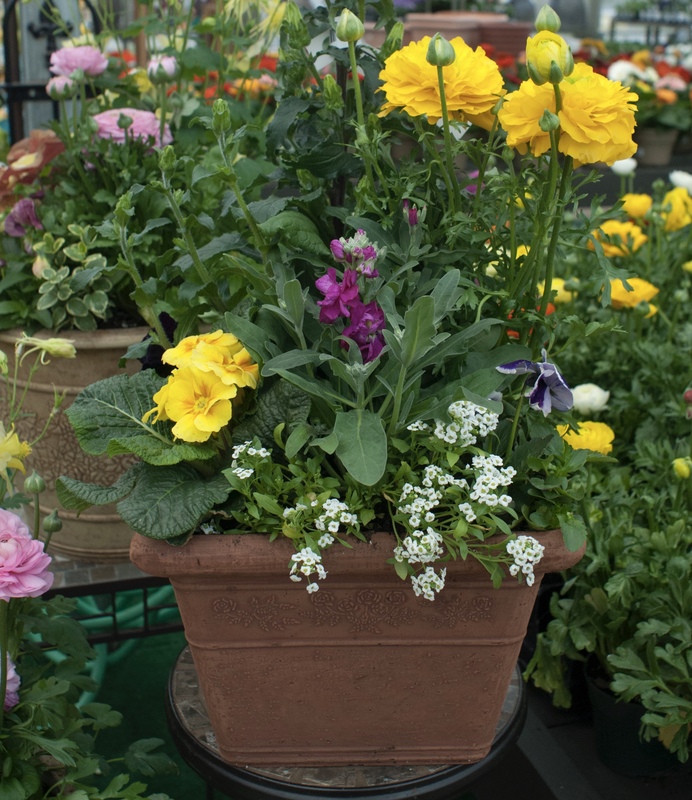 Plants like Heliotrope, Primrose, Lilac, Lavender and Peonies are great additions to any garden and easy to grow. 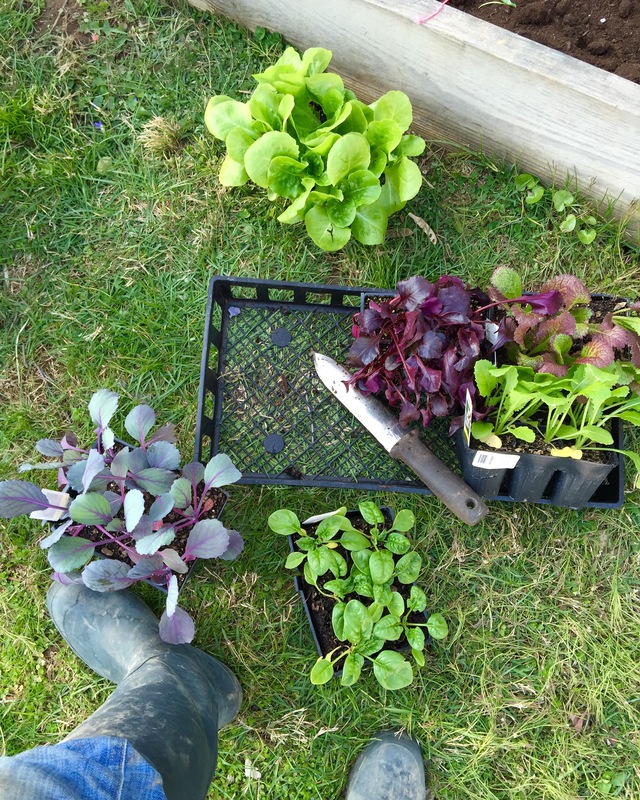 Edible Gardening…Always mix edible plants with flowering plants. Planting vegetables and flowers together teaches children the importance of attracting pollinators, like bees and beneficial insects to the garden. Flower and fruit production from pollination are keys to the success of the garden. Garden Architecture…Add structure to the garden using an arbor or pergola. Make a garden path for little feet to walk. Have the children create their own stepping stones using found objects, like stones, marbles, seashells in concrete molds. Hand and footprints stepping stones are always popular for the kids to make. 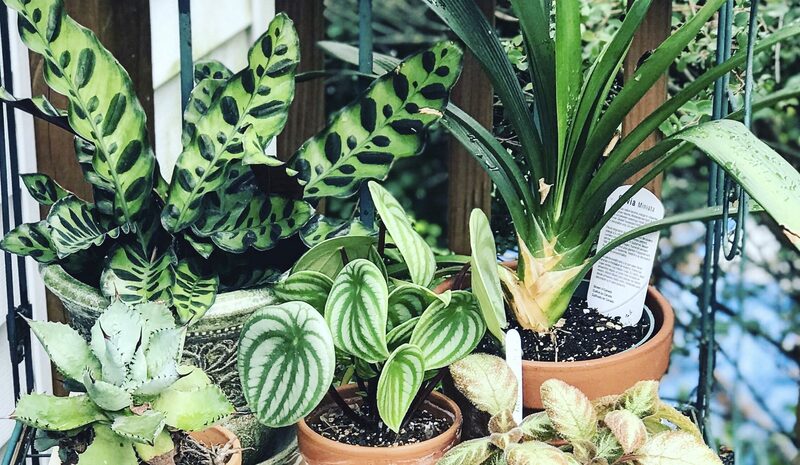 Caring for houseplants indoors during the winter is much more challenging than outdoors. Controlled temperatures, shorter day length and forced hot air from our indoor heating systems leave the atmosphere dry. You also need to be mindful of cold drafts. 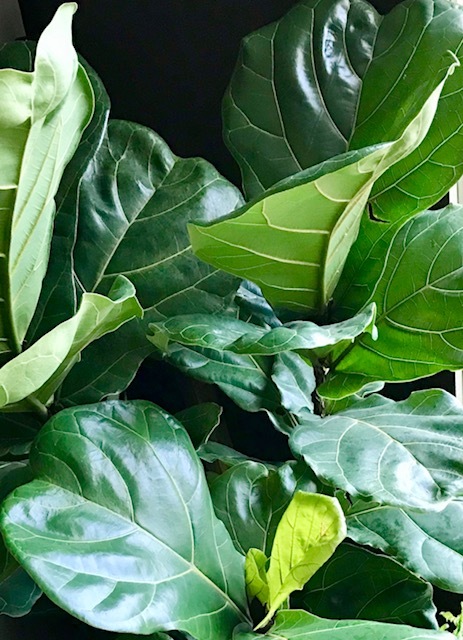 Plants near drafty windows and doors result in dark brown sections on leaves. 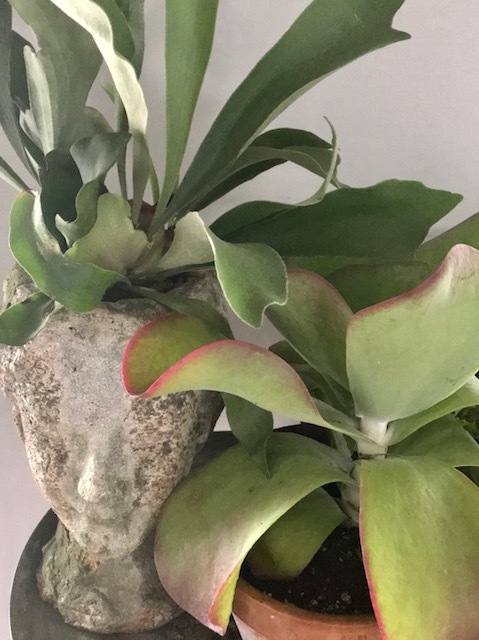 Plants struggle to push out new growth, foliage turns yellow and edges brown thus resulting in unhappy looking houseplants. 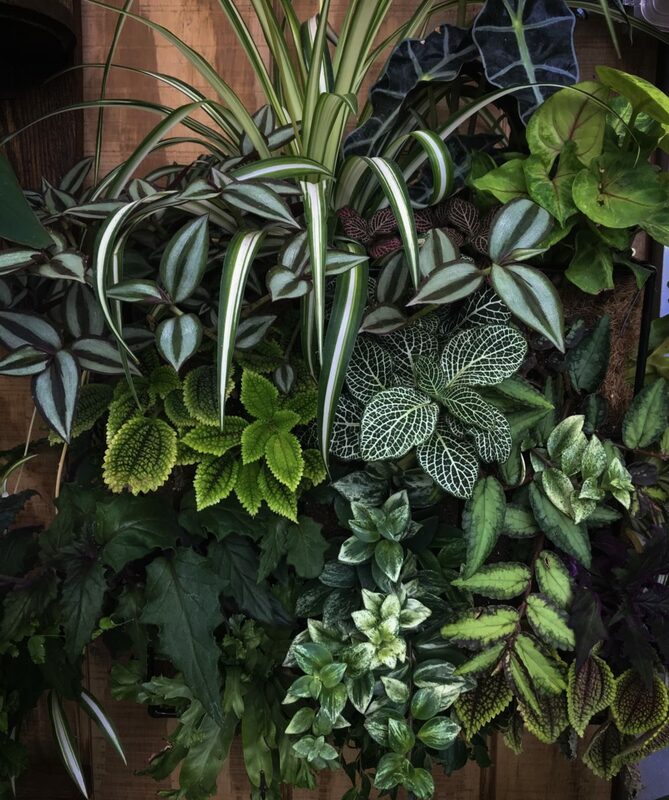 Increase Humidity…plants love humidity, especially indoor tropicals. Make sure you keep plants away from forced dry heat vents. 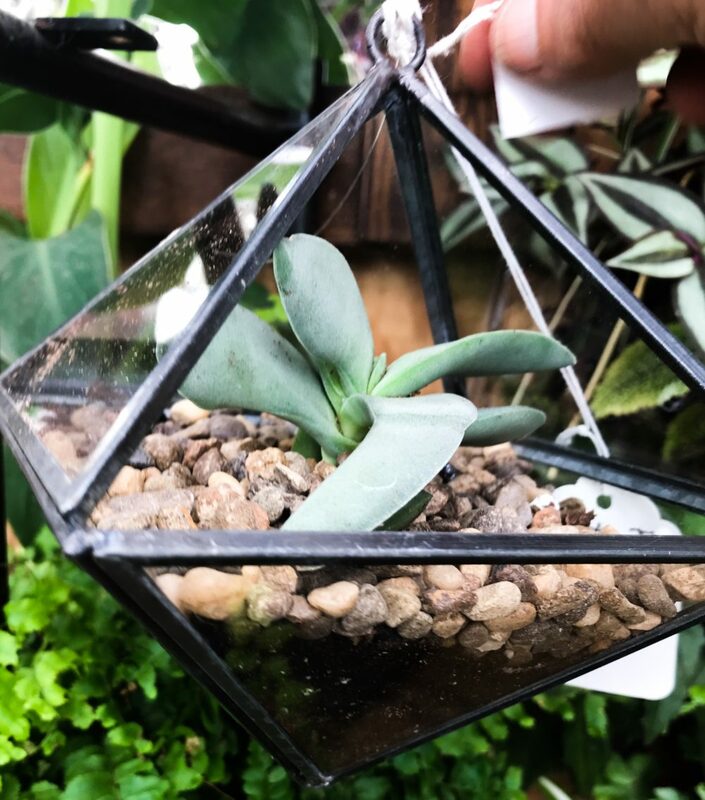 Increase humidity by placing the plant on a bed of moist crushed stones, cluster your plants together if possible, or mist the leaves 2-3 times per week. Rotate…plants are phototropic, meaning they lean, or grow in the direction of the light. With day length slowing increasing each day, plants are stretching toward the brightest area, forcing a normally full healthy looking plant to have an irregular shape. Remember to turn 1/4 – 1/2 spin per week. Water…wisely during the winter time. Take time to water your plants on a regular schedule. Keep a gardening journal to keep track of watering, misting and fertilizing your plants. This will help to minimize long dry periods and help prevent overwintering. Be aware of the water temperature. Believe or not water that is too cold or too hot can effect your houseplants causing leaves to yellow and curl. I always use tepid water during extreme cold spells. Pest Patrol…be on the lookout for unexpected pest guests. Insects, like Aphids, Mealy bugs, Fungus Gnats, and Scale are the most common pests. Plants need adequate air flow, especially in extremely warm areas. Keeping temperatures between 62°-72°from night to day is ideal and helps to keep pests away.